It may not be the prettiest, but neither are you in the morning. 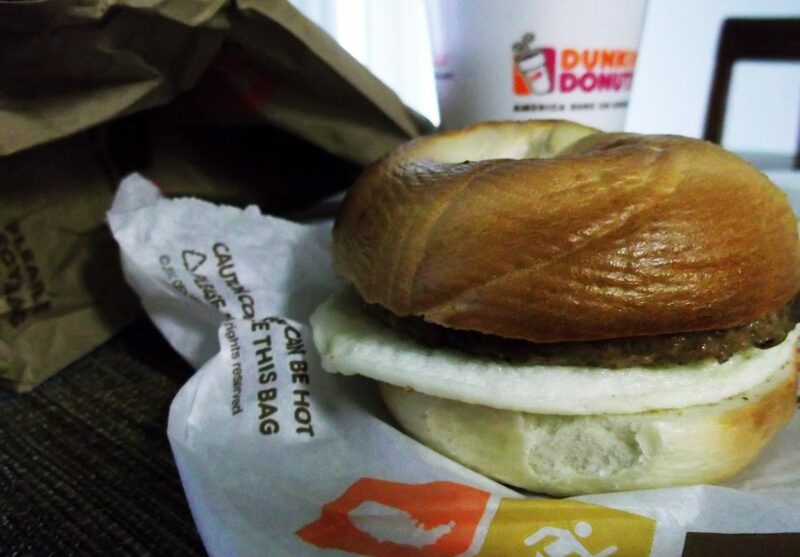 One trip to Dunkin Donuts can begin your beautification. A safe start, this protein-heavy egg and sausage meet on a plain bagel in a dull way. That’s on-purpose. You don’t need a splash of water in your face this early. Don’t forget that coffee in the background– that’s where your rocket fuel will come from. Get chewing and chugging. There’s a long day ahead.